Last night, on a whim, I decided to make dinner for Chris, which was the first time I've ever cooked for him instead of with him. He's Paleo (which I am not at all - I'm not even all that carnivorous these days) and a really good cook - so I was pretty nervous. But it was oddly cold yesterday and he was working late and I decided it was time to go for it. 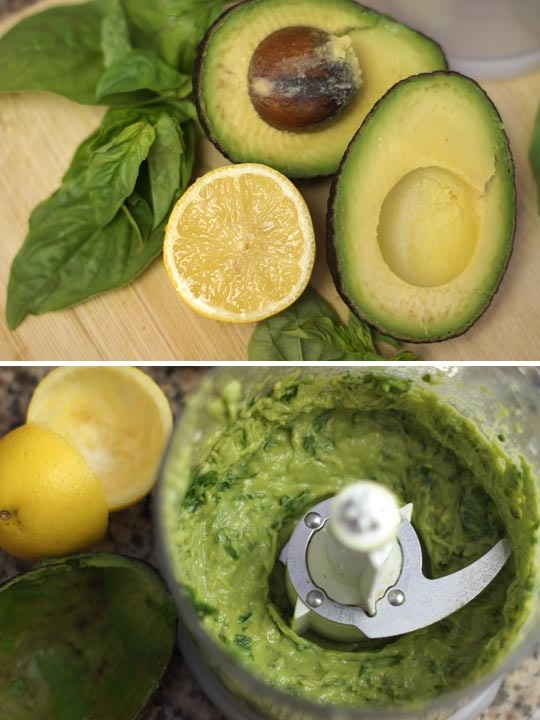 I was inspired by Nicole's Avocado Pesto Sauce but, if you've ever made one of my recipes, you know I'm utterly defiant when it comes to following a recipe. I don't know if I'm a little bit more of a rebel than I realized or if I secretly think I'm going to be a chef someday or what.